It seems like Adidas is all the rage these days. My daughter likes the Adidas brand. Well, she likes pretty much any brand name stuff, but Adidas makes her happy. 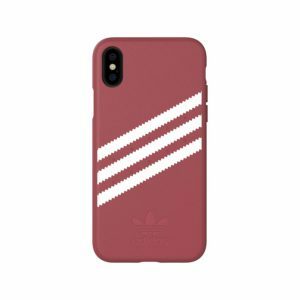 Did you know Adidas makes phone cases, too? Apparently, they do! We have two of them to review today- thanks to TechnoMark’s trip to CES 2019. This first case is one of the basic cases that snap around your phone. It has the classic 3 stripes across the back with the debossed Adidas logo on the bottom. It comes in different colors. Ours was orange, but I’m linking to this pink one on Amazon. It sells for $40 right now, and has a coupon to take an extra 15 percent off. You can also see the various colors and styles available in the link. 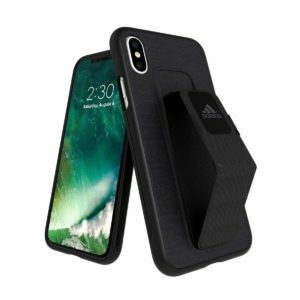 Another option is the Adidas Performance Grip Case. You know how pop sockets are popular now? This case comes built in with a grip band that also doubles as a stand. This polycarbonate case has drop protection through a backplate that has shock dispersion. There are open, easy-access ports for the power button, camera and charging. The volume buttons are covered, but still easy to access. Edges are rubberized and give the screen some protection as it is raised a little around the front. If you want to buy this case, you can purchase it in black for $34.95 on Amazon. Thanks to Adidas for giving us these phone cases to review. No compensation was given to influence our review.